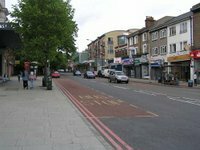 Last year the Forest Hill Society was awarded funding from the Forest Hill Ward Assembly to improve the look of some of the empty shops on the high street. It took us a while to find the right way to do this as empty shops inconveniently started opening as successful businesses up and down the high street. 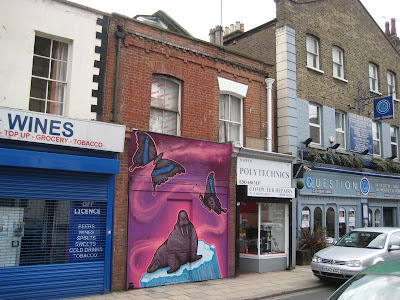 But the first makeover has now been completed and what was a boarded up and burnt out bakery now has a picture of a friendly Walrus and some Papilio hornimani or 'Horniman Butterflies'. We want the high street to be a fun place to be with surprises on every corner.We also want to bring a taste of the Horniman to the high street. 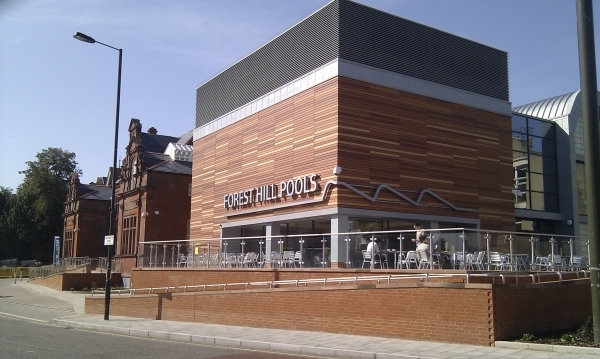 We are currently looking for further empty shop fronts for more Horniman imagery to brighten up the high street. But more than anything else, we would love somebody to take on this unit, which needs a lot of work to bring it back into use as a retail unit.